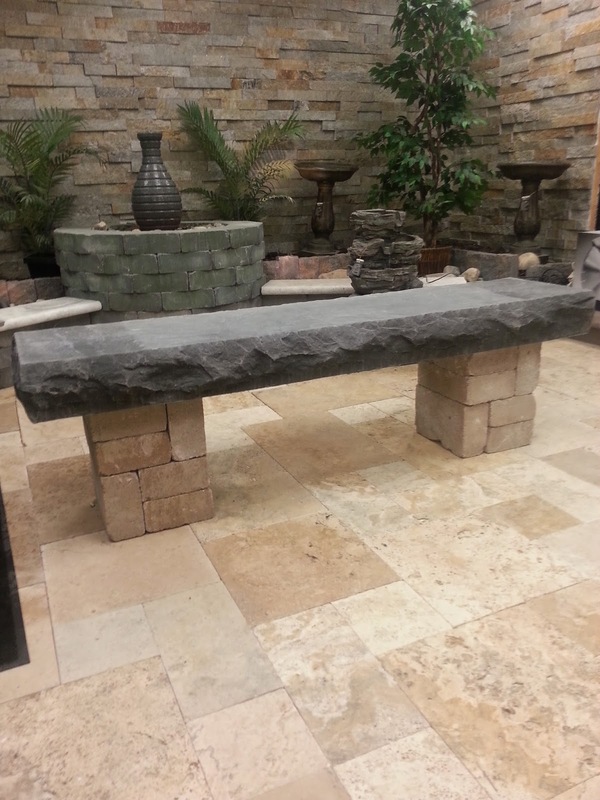 6' long custom bench grey color. 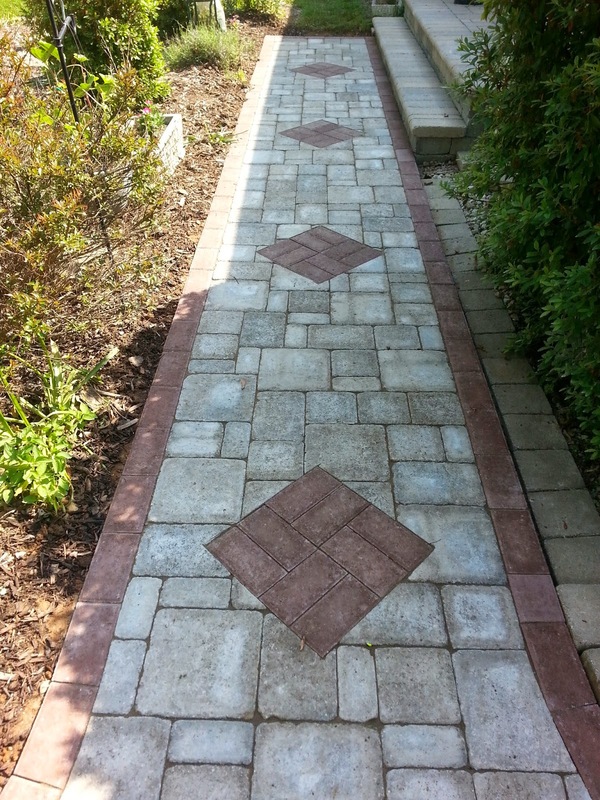 The wall blocks for legs is the Ammons Wall Block in picture below which comes in four colors. 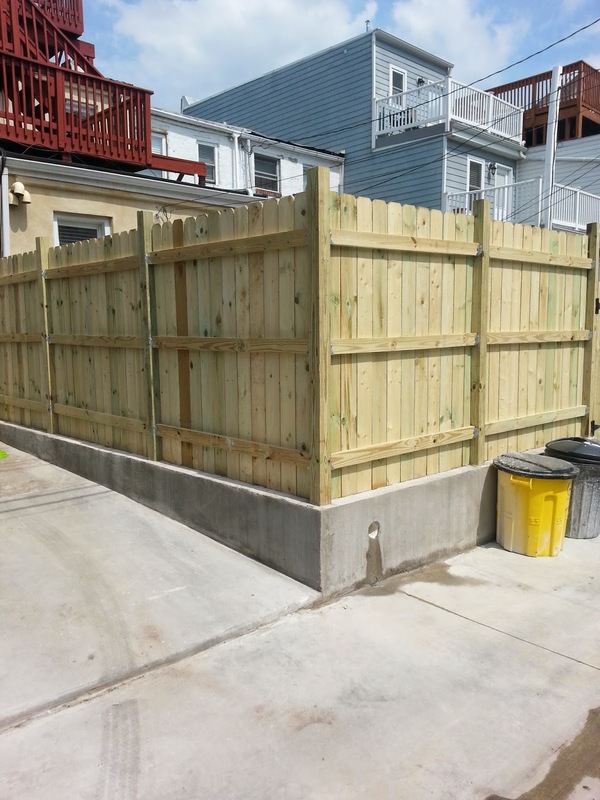 These are cool if you want a sitting wall but can not get it in your budget. Less than sitting walls. Before/After pictures. 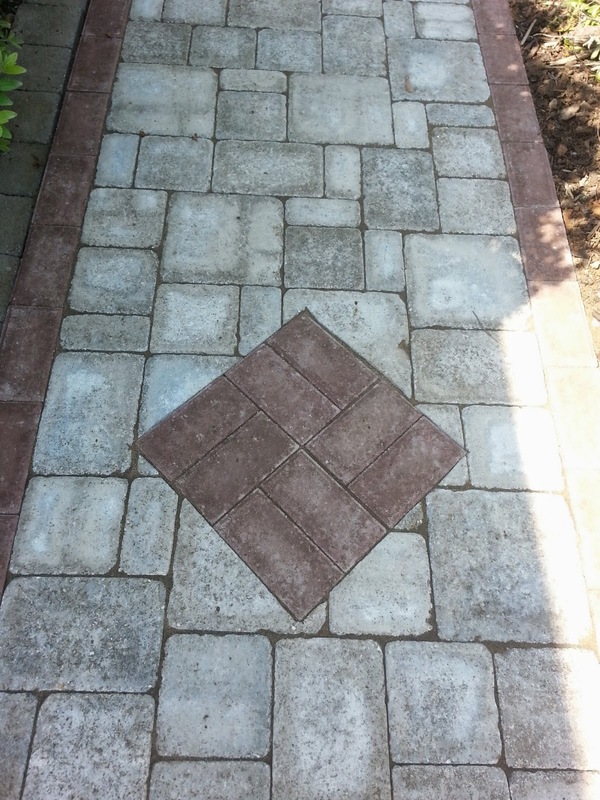 BLU 60mm pavers with Aberdeen pavers circle random at a 45 degree angle. 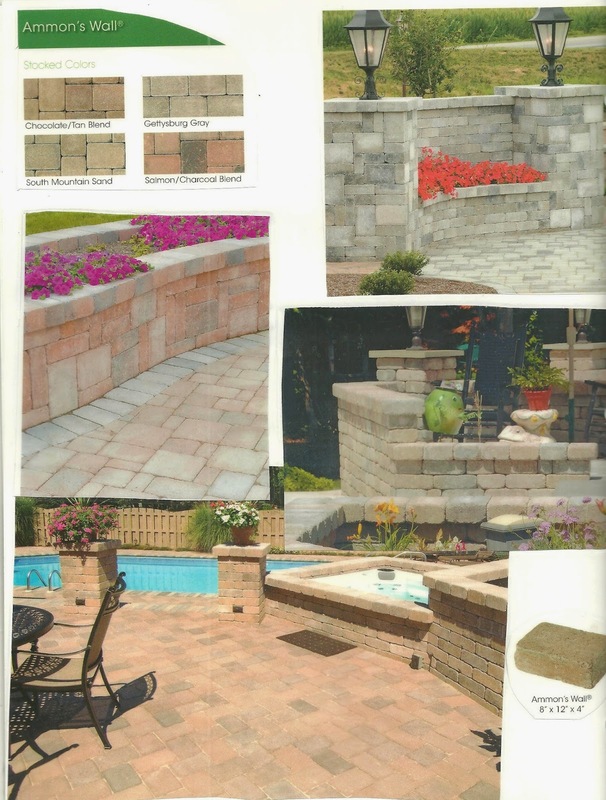 Ammons Wall for landscape bed. 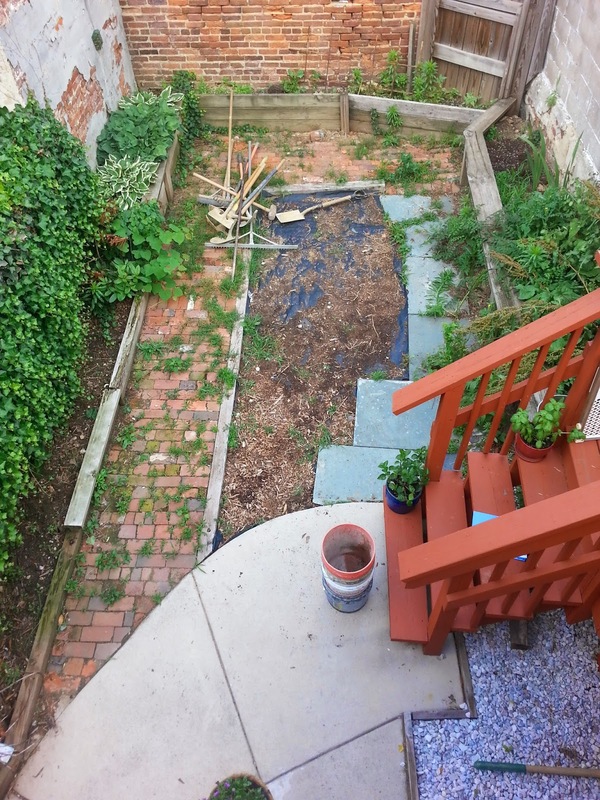 Before/After pictures. 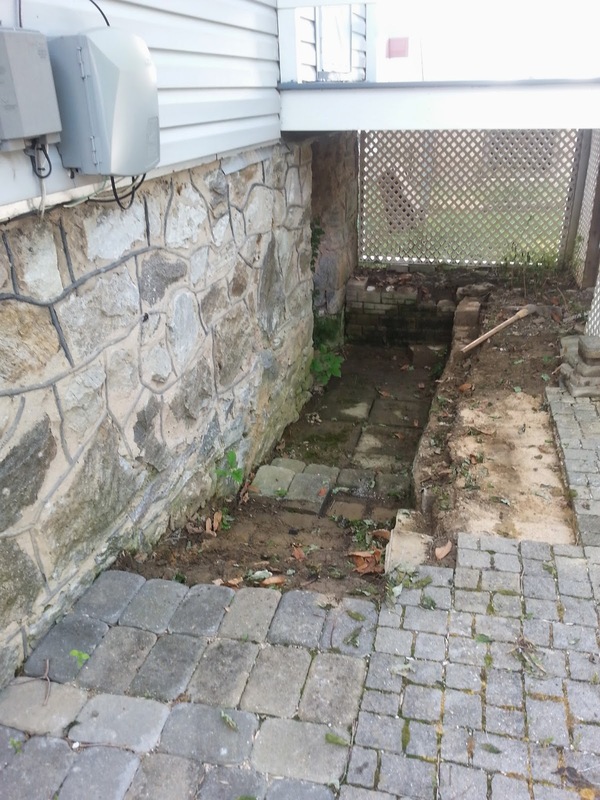 Removed failing wall and steps. 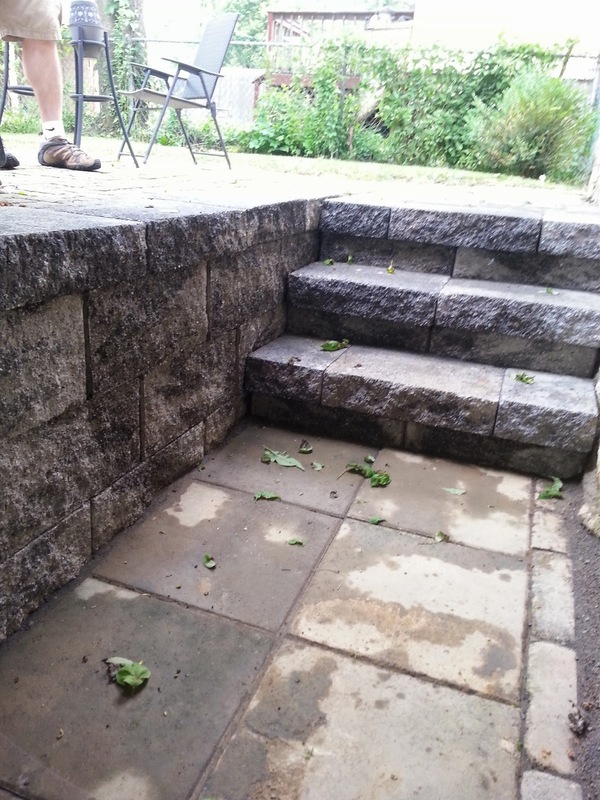 Installed new Keystone Retaining Wall and Keystone Caps for new wall and the steps. This color is the Granite Color. One day job. Locust Point Baltimore City. 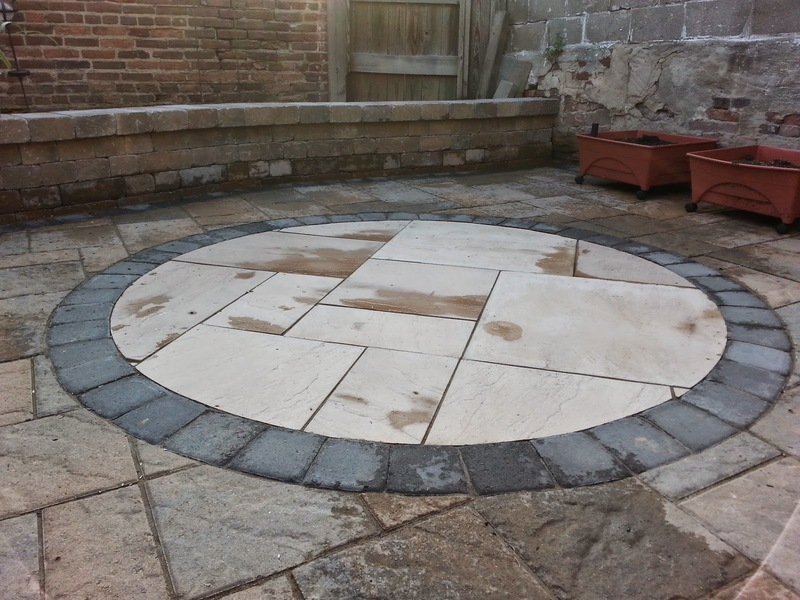 This was a parking pad but customer wanted a patio instead. 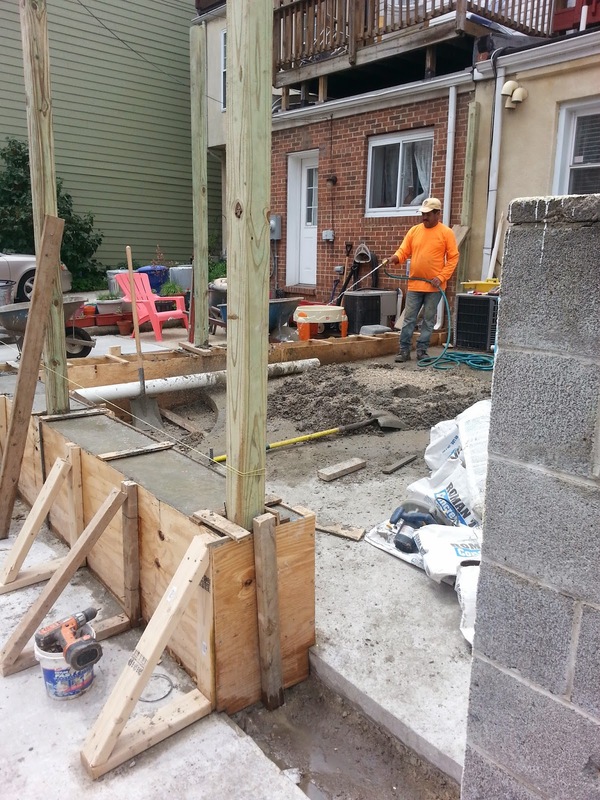 Concrete pour for fence posts and leveling off patio. 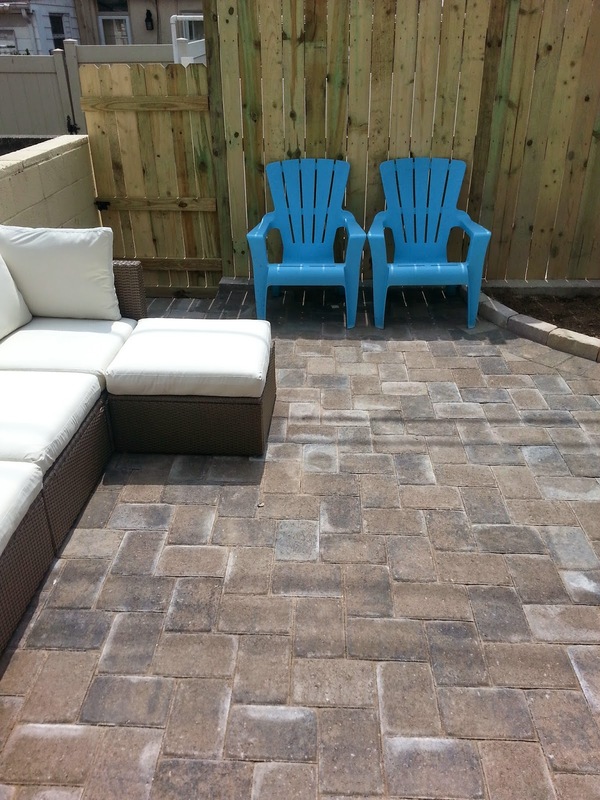 Appian 6x9 pavers 90 degree herringbone Tan Charcoal Blend color. 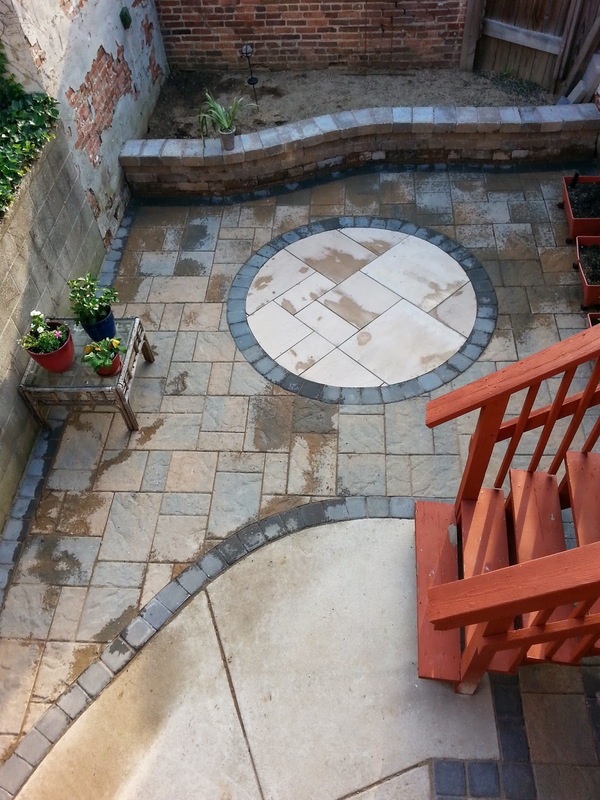 Catonsville backyard patio. 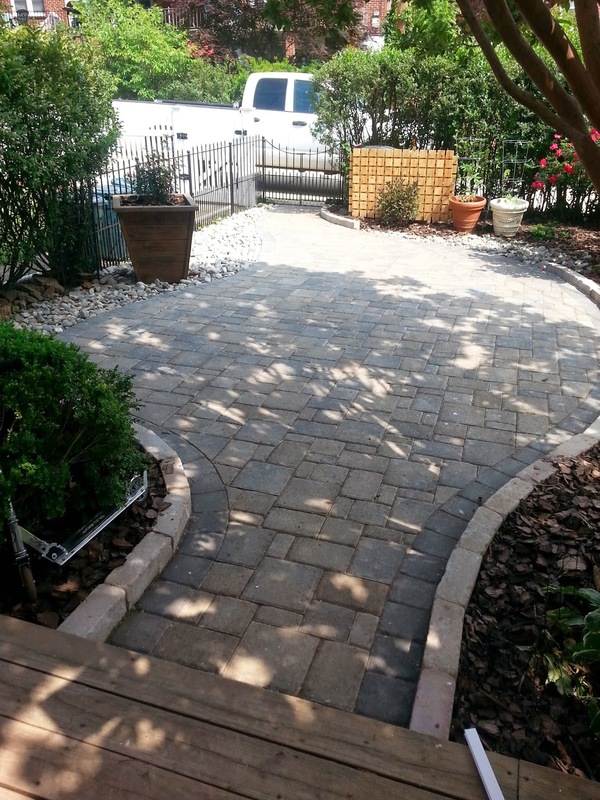 Appian pavers with chapel paver edgers and decorative riverjacks gravel for drainage. 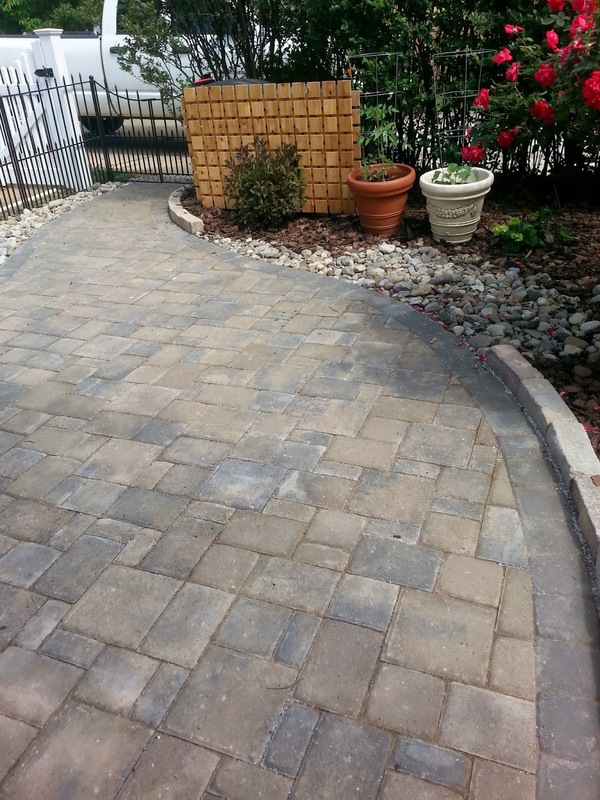 Tumbled random pavers with 4x8 traditional pavers in a 45 degree angle basketweave pattern for a accent. Hot looking! 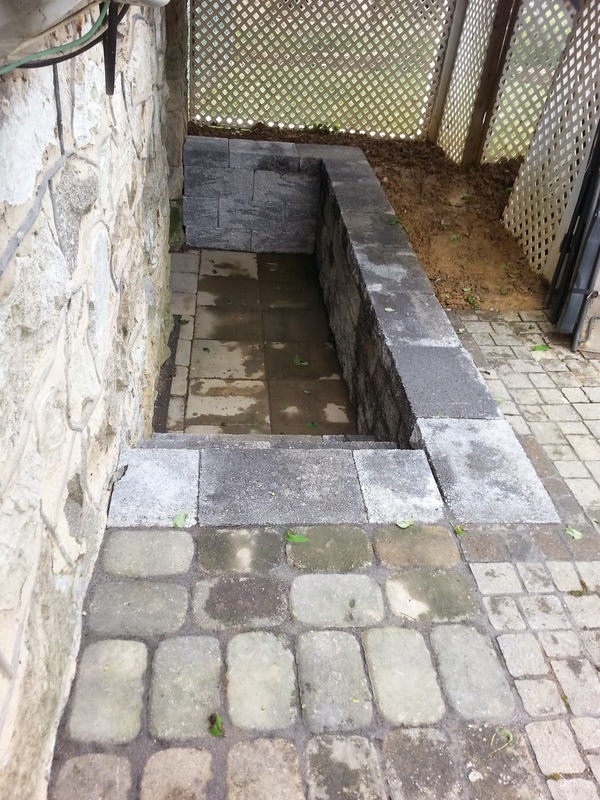 Job in Ellicott City.